Lana Hart grew up on the west coast of British Columbia, Canada. 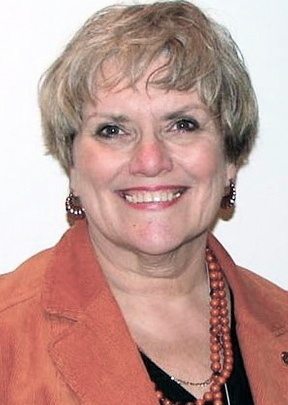 She studied with many different artists, potters and directors. She has a degree in Theatre Design from the University of British Columbia which may explain why she weaves a story throughout each painting. Primarily working in acrylics her style can be described as Impressionistic Realism. 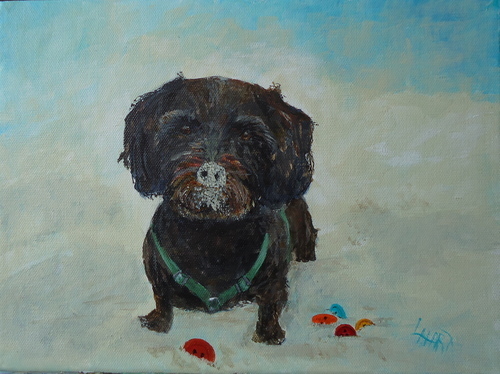 She specializes in and accepts commissions for, Pet Portraits, Travel Memories and Amused Houses. 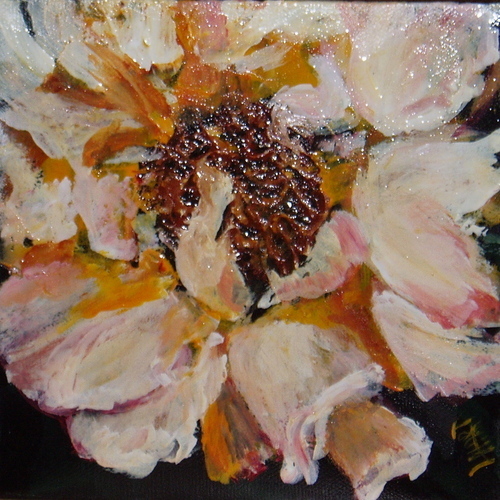 She belongs to several painting groups and is a founding member of the North Delta Artist Guild. I love to do portraits of people's beloved pets. This little fellow loves to dig his nose into the sand. Holiday travels are too soon over. If you have a great photo of one of your favourite places that you traveled to I can try to capture those memories onto canvas. 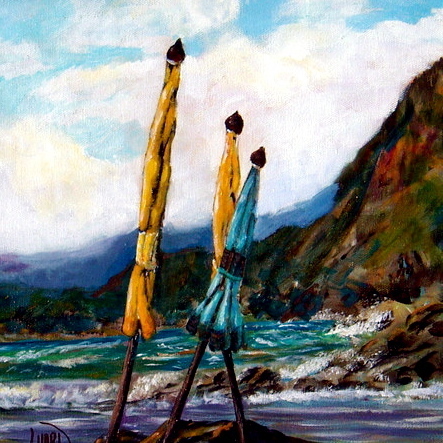 This painting is called 'The Umbrellas of Vernazze'. When is all said and done I always revert back to flowers - those living things that give us such joy.